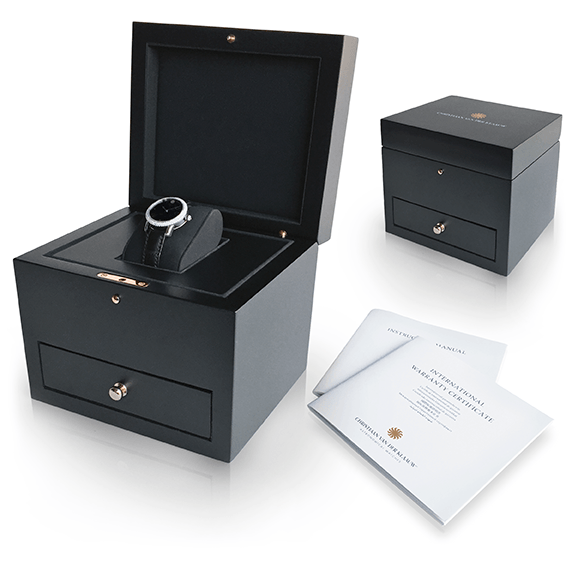 It contains a chronograph and super luminova moon phase. 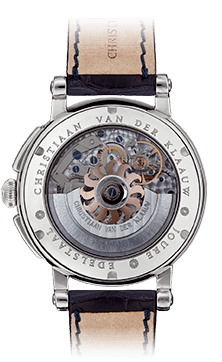 MovementCVDK7759, automatic winding, 25 jewels, power-reserve; 48 hour max. 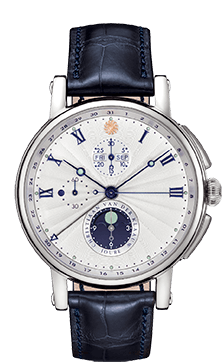 FunctionsHours, minutes, complication; small seconds, day/night indication, day, date, month, super luminova moon phase, chronograph; 12-hour counter, 30-minute counter, seconds counter. CaseHigh quality steel, ø 44 mm, sapphire crystal, sapphire crystal case-back. DialSilver with blue indexes, super luminova. The beautiful CVDK Hypernova combines a full chronograph with a day/night indication, an ingenious date display and a beautiful super luminova moon phase indication. The super luminova moon phase can be read at the 6 o’clock position. When the Moon is left of the centre, it is in its first quarter. When the Moon is in the centre, it is full Moon and right of the centre, it is in its last quarter. If the Moon is not visible, it is new Moon. 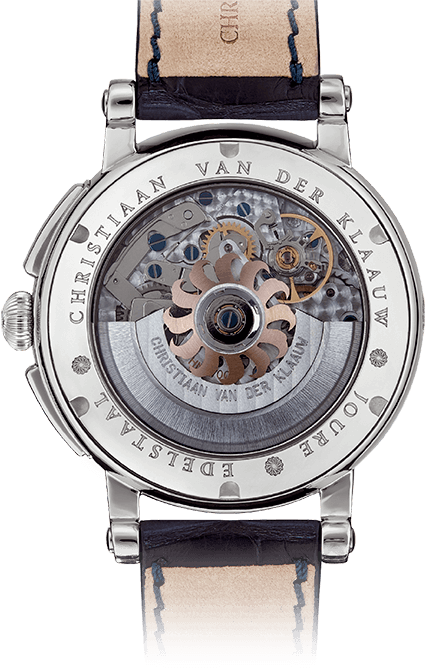 The rotor is based on the ‘Sun with 12 Claws’, the logo of Christiaan van der Klaauw.